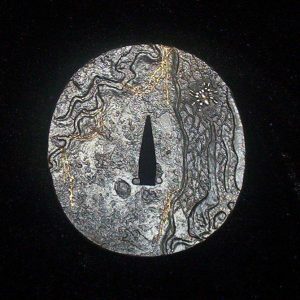 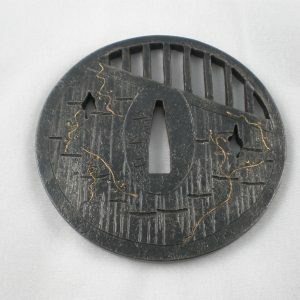 All Shining Moon 13 Tsuba are custom crafted for customer swords as well as the swords we create. 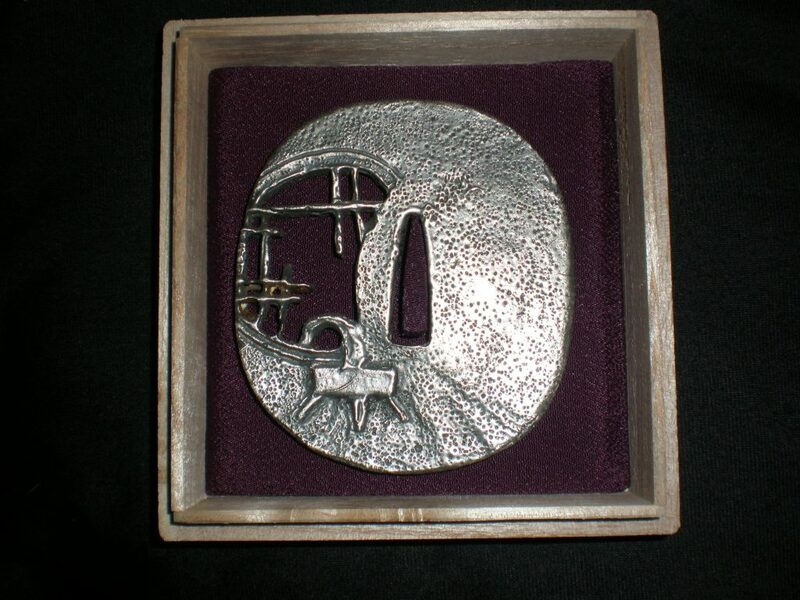 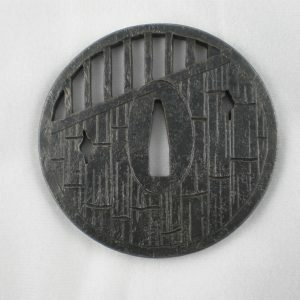 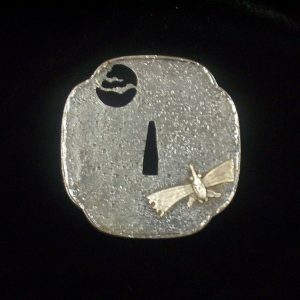 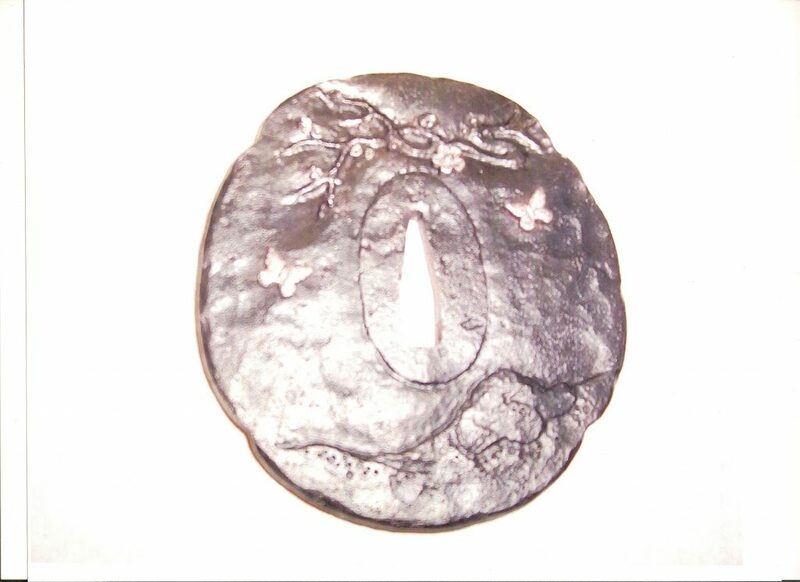 Our Tsuba are made from Civil War era wrought iron chain, electrical grade copper, or cast in sterling silver. 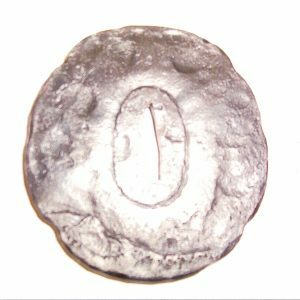 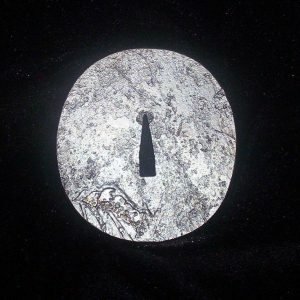 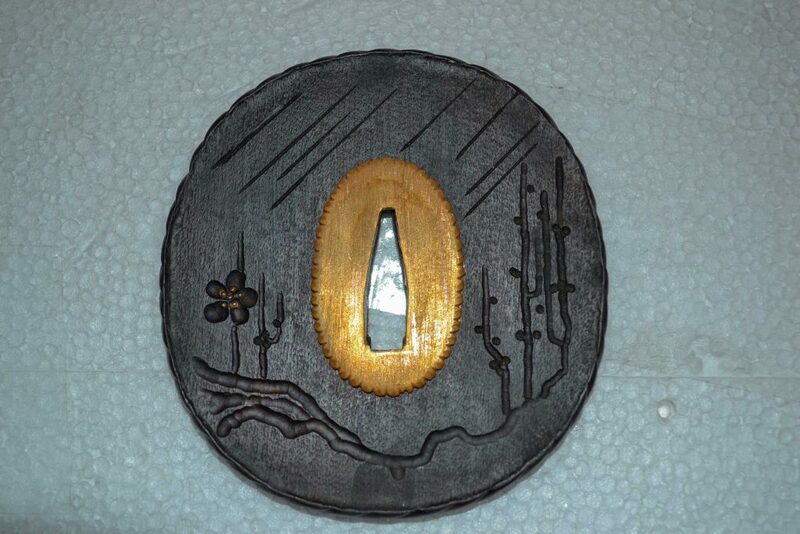 We use gold and silver for all inlays and some selective plating is also available. 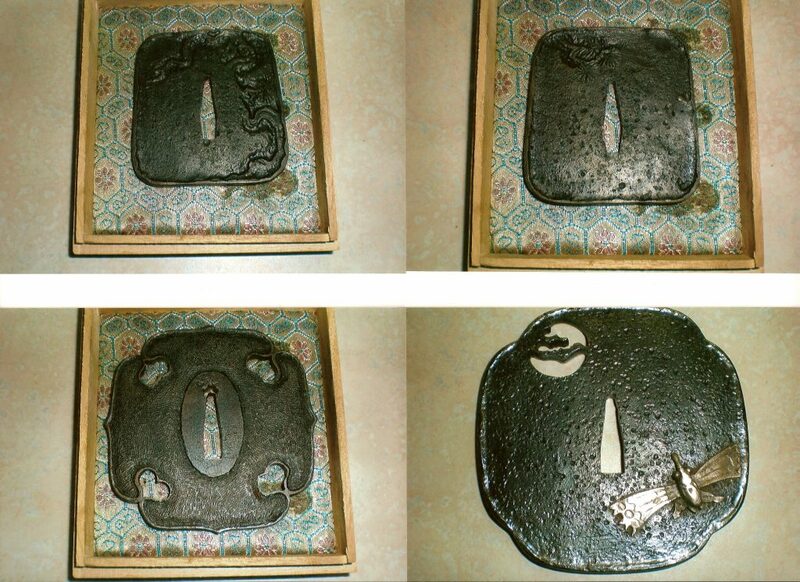 Using his decades of experience, all Shining Moon 13 Tsuba are hand crafted by Sword Maker, Wally Hostetter. 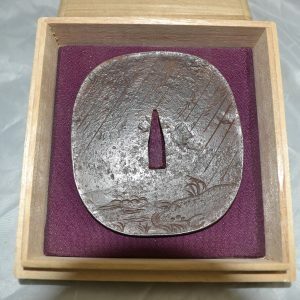 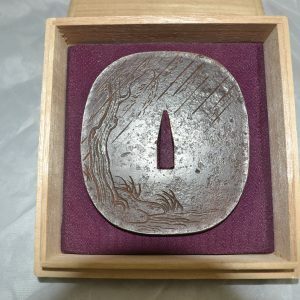 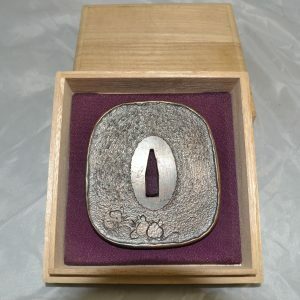 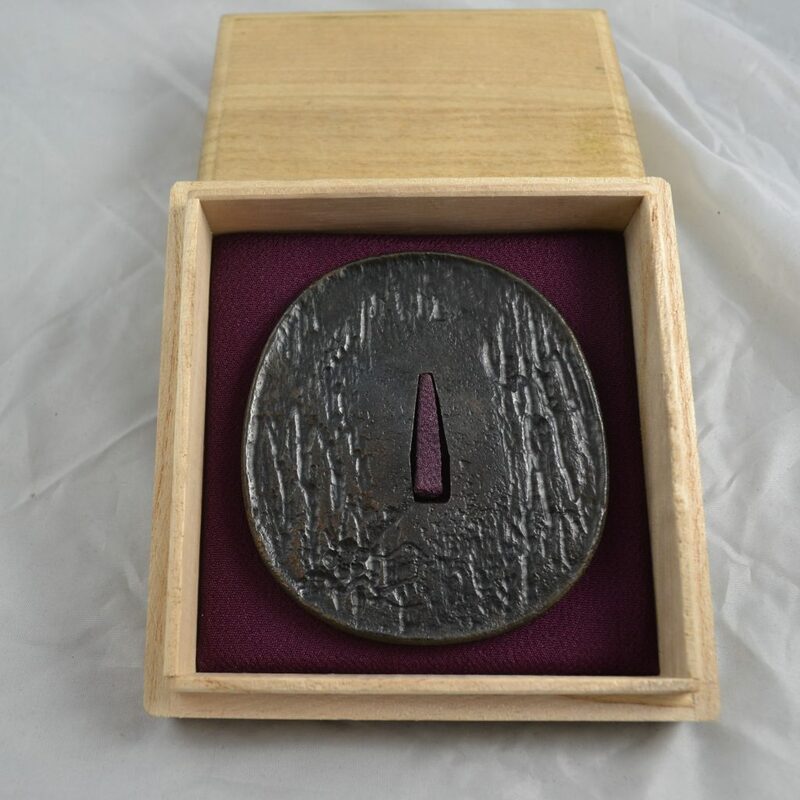 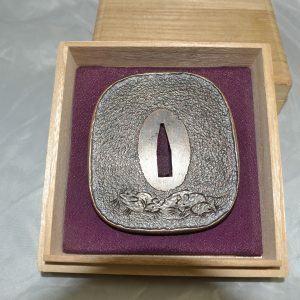 A Tsuba is the hand guard mounted on a Japanese sword, serves to keep the user’s hand from sliding up onto the blade, or to some extent to provide protection from the blade of an opponent. 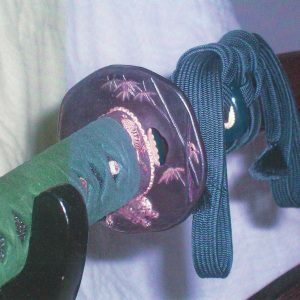 It also acts to counterbalance the weight of the blade, to communicate the social standing, beliefs and the individual taste of the owner. 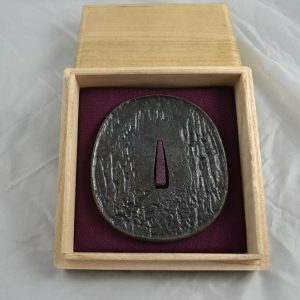 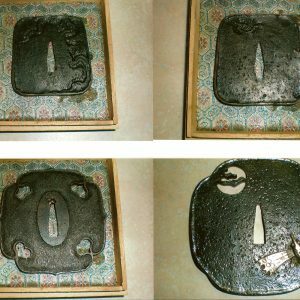 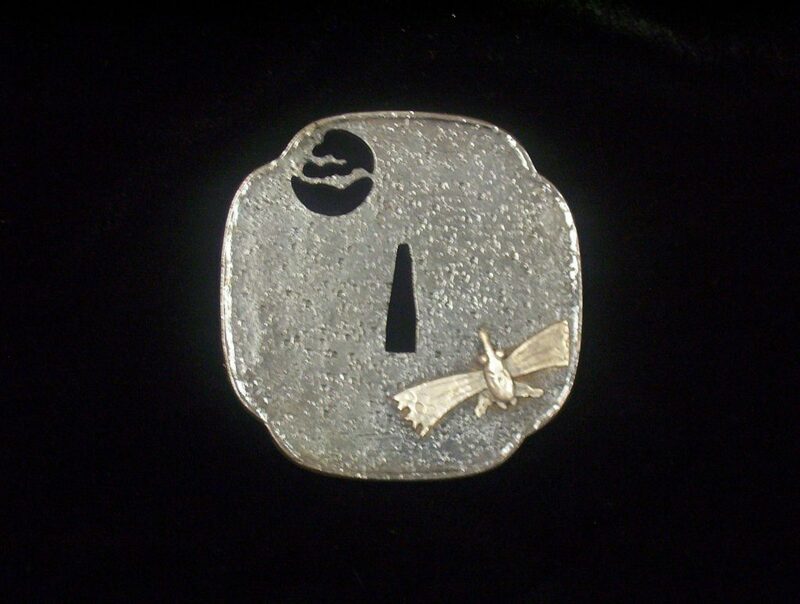 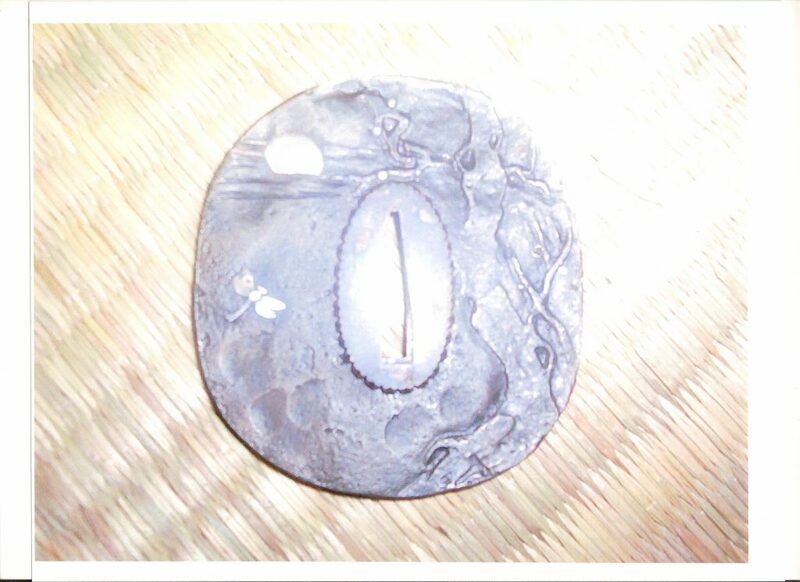 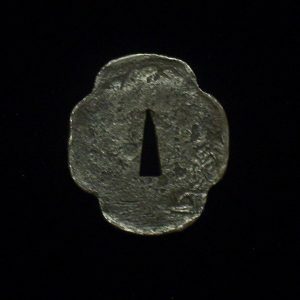 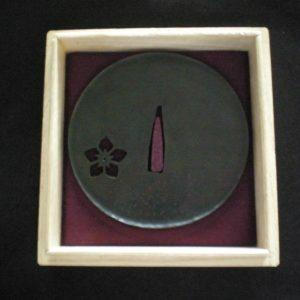 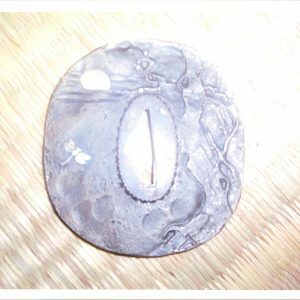 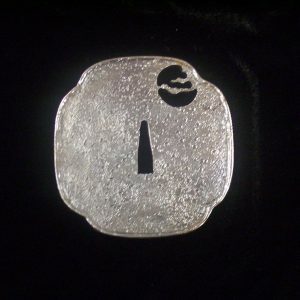 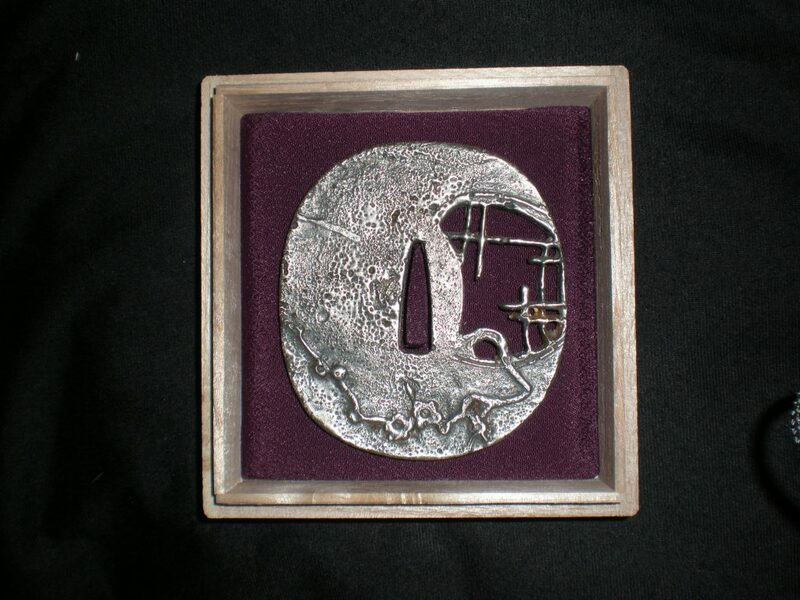 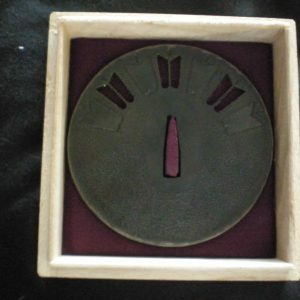 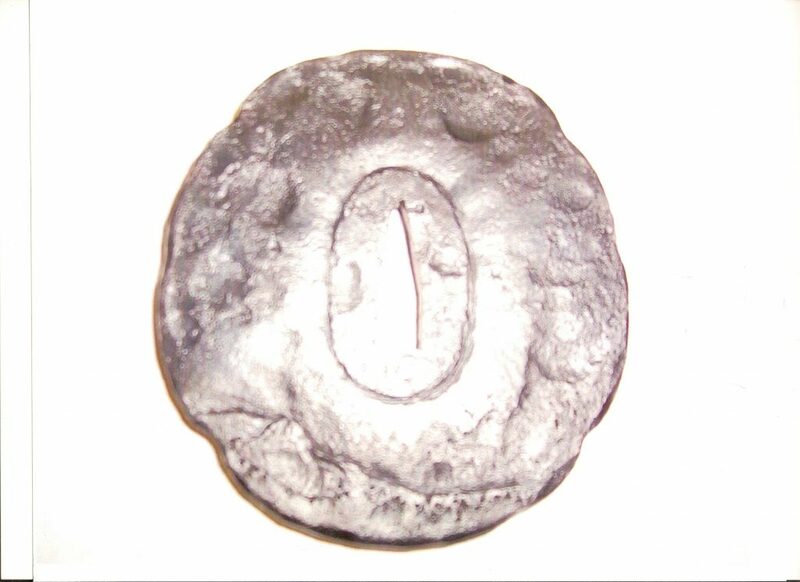 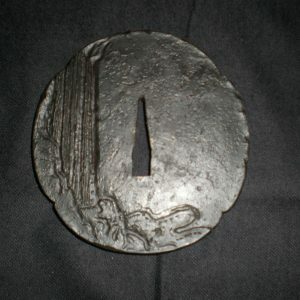 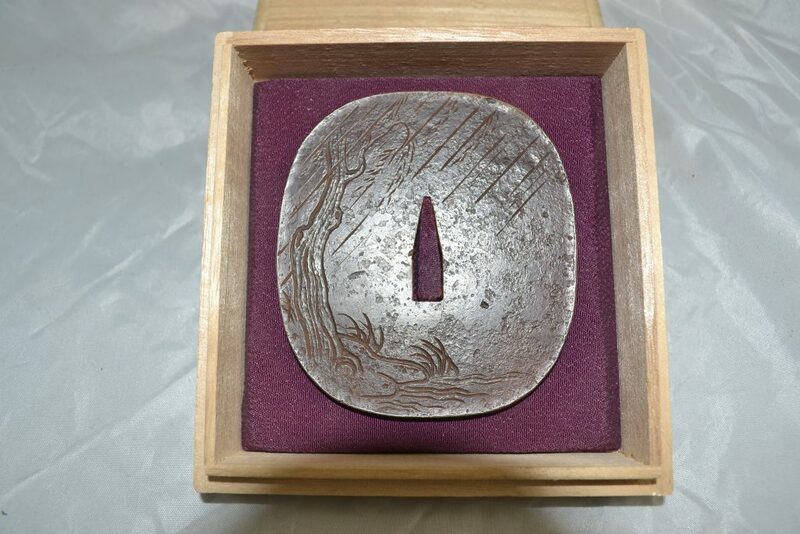 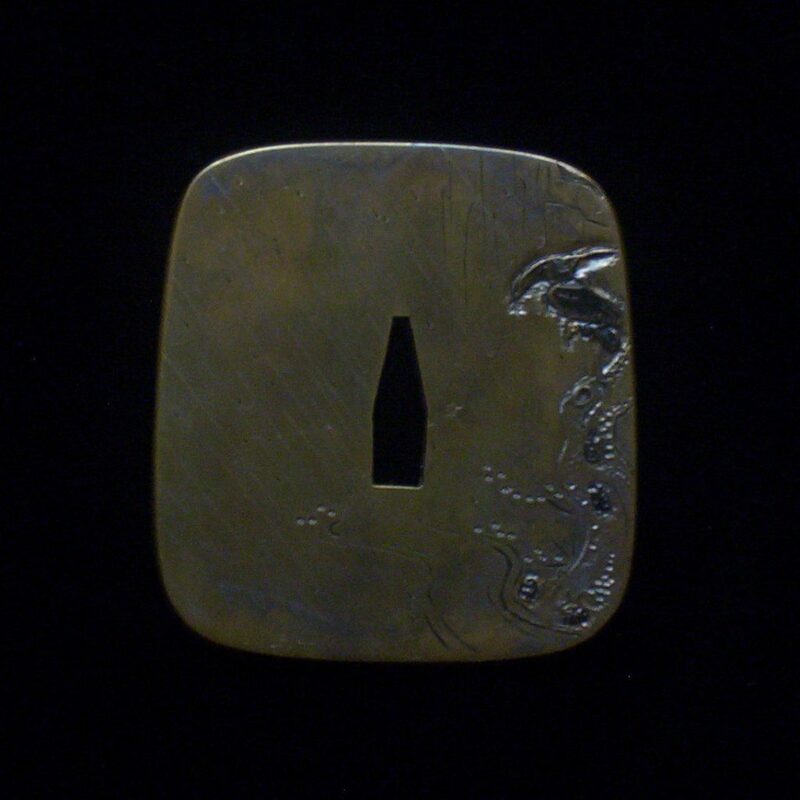 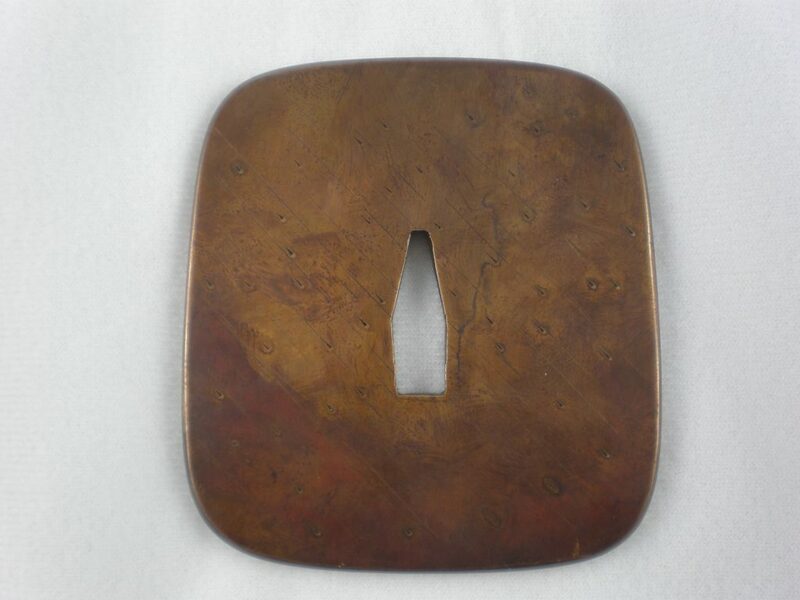 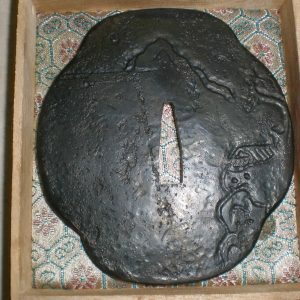 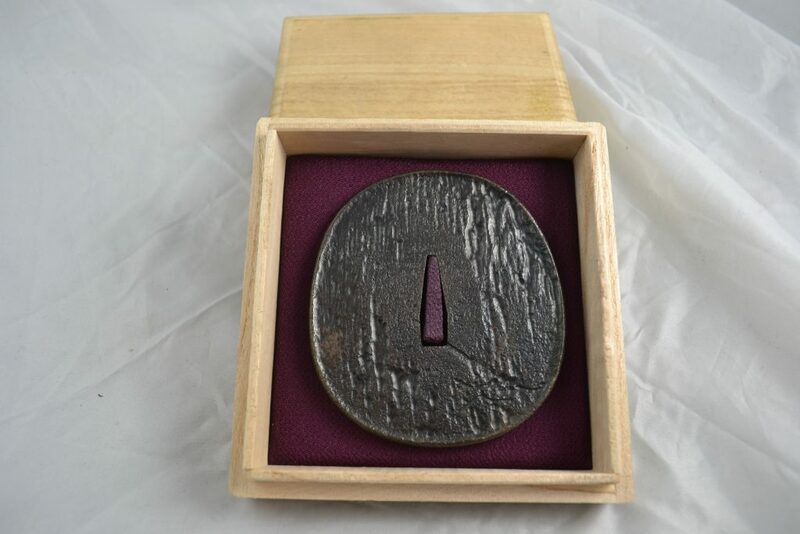 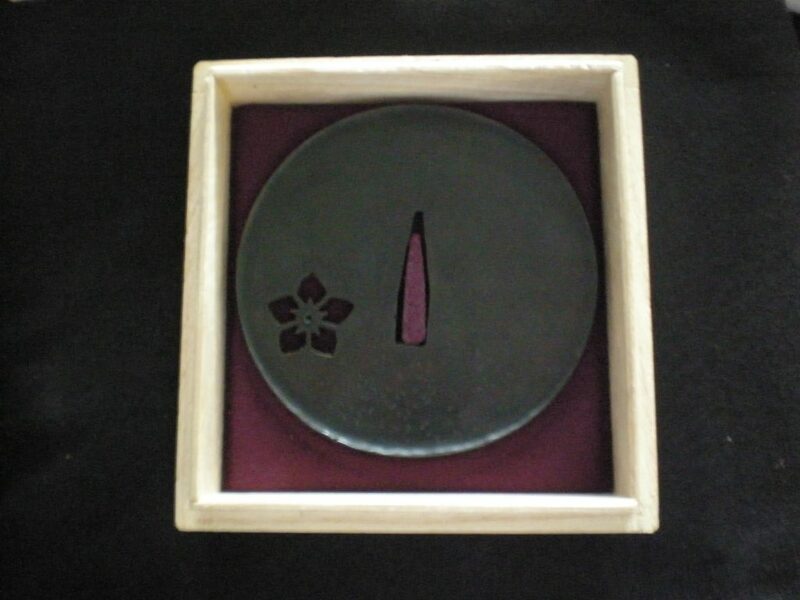 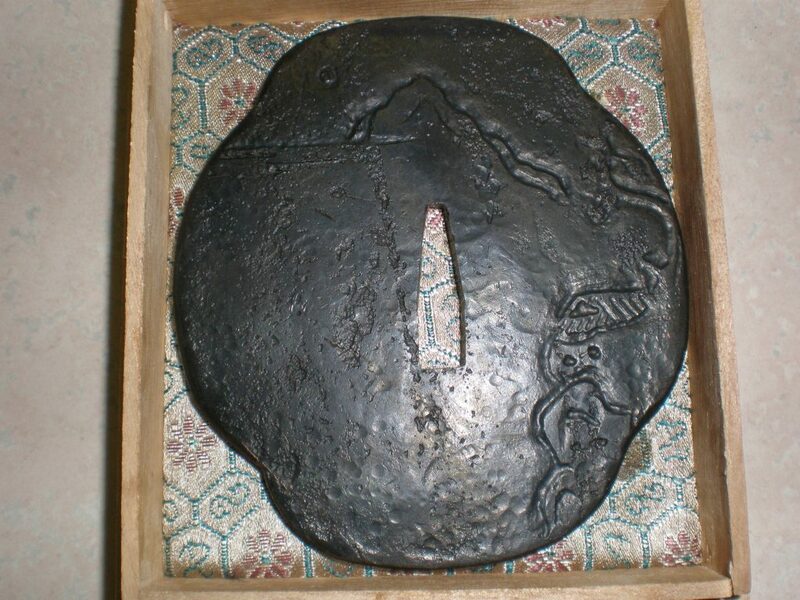 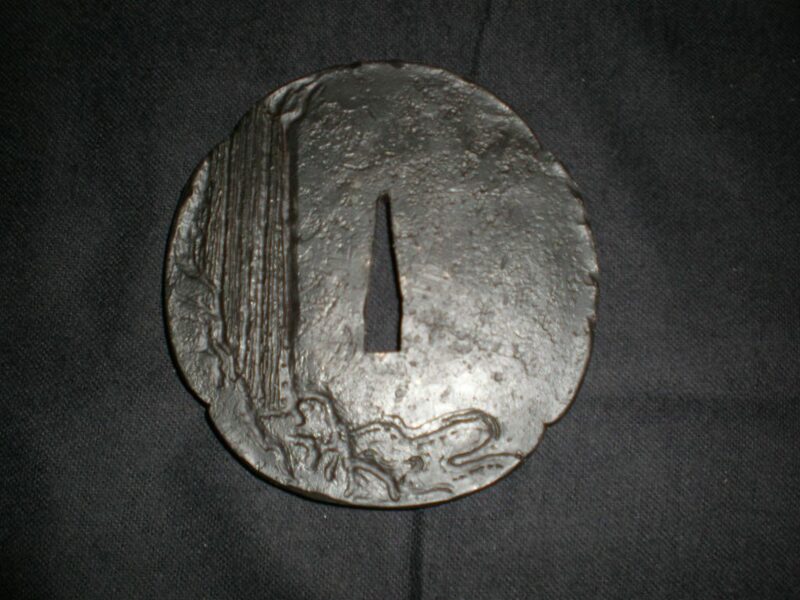 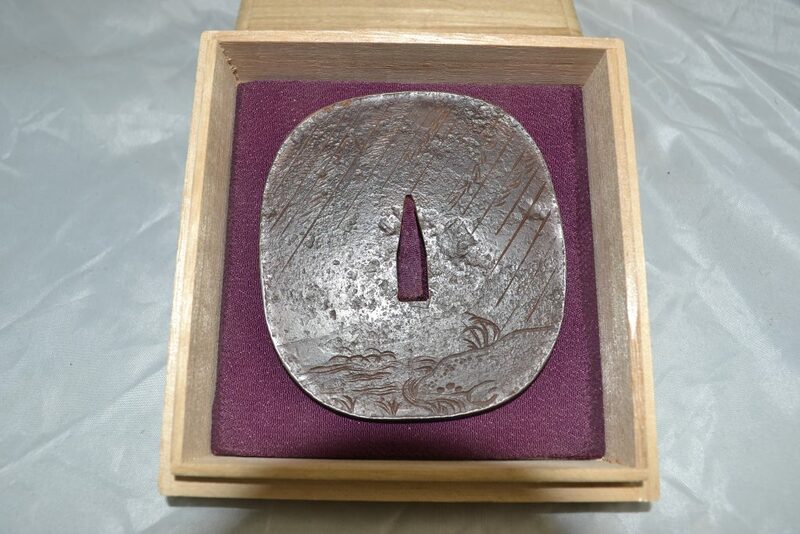 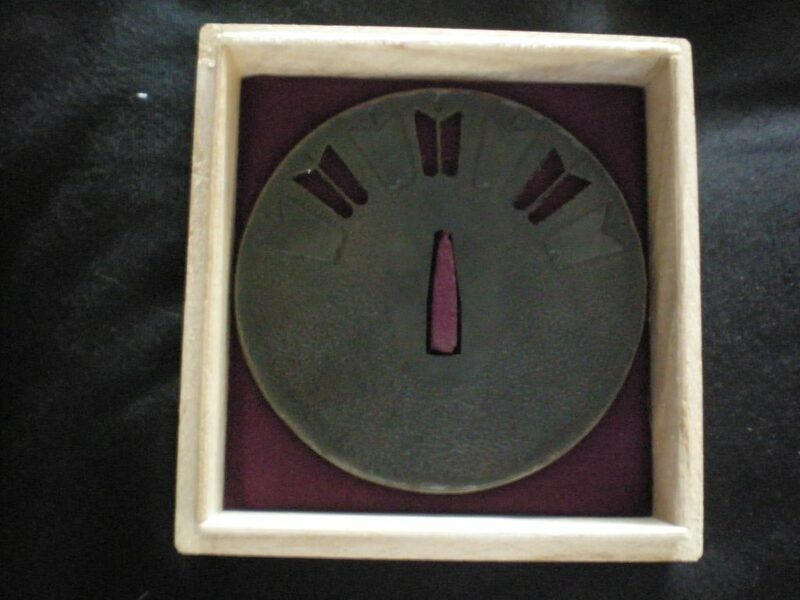 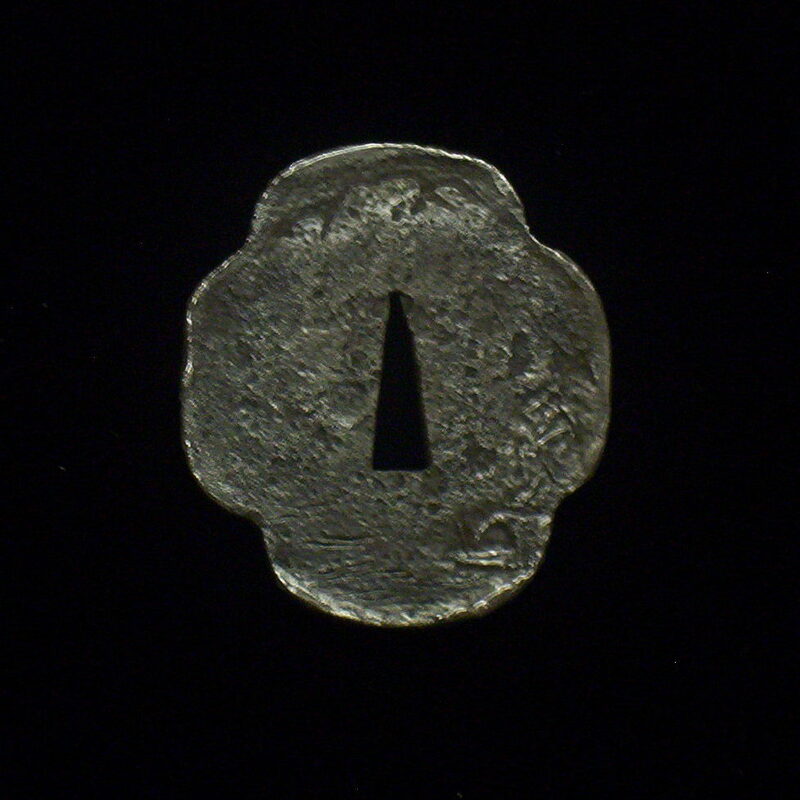 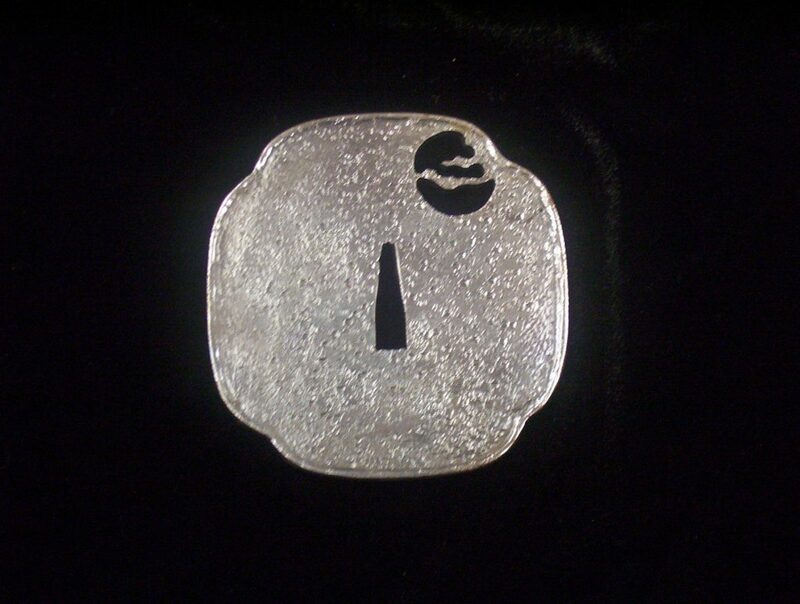 The early Tsuba were made by the blacksmiths that also hand hammered the swords. 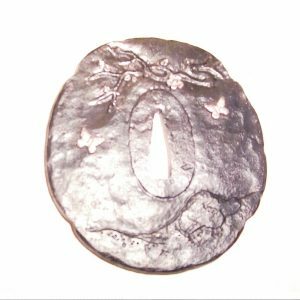 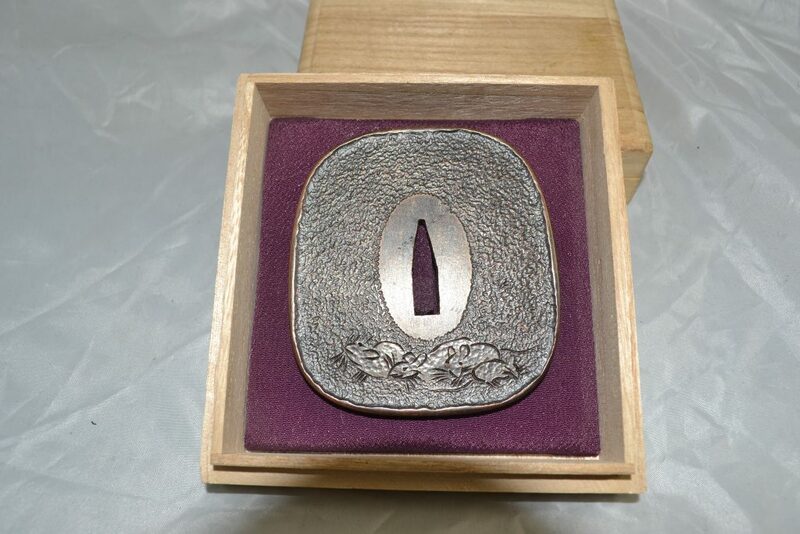 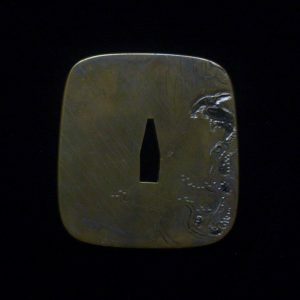 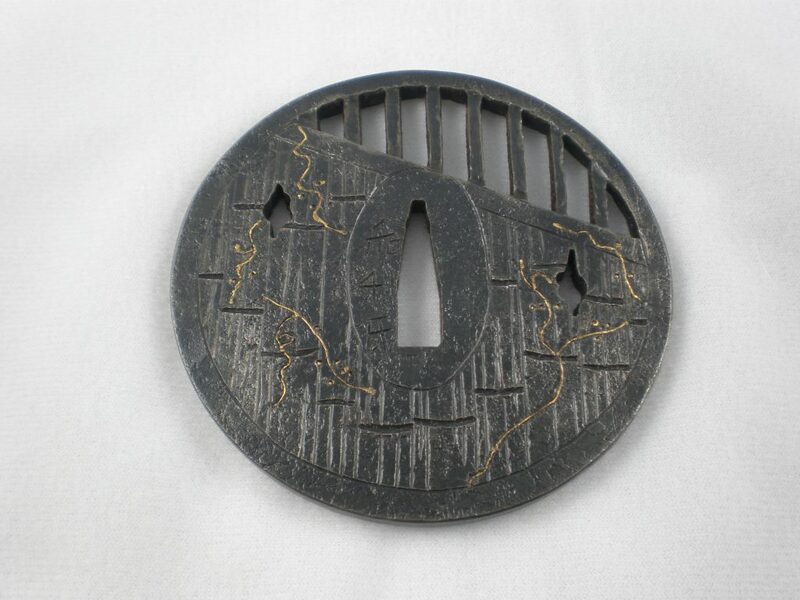 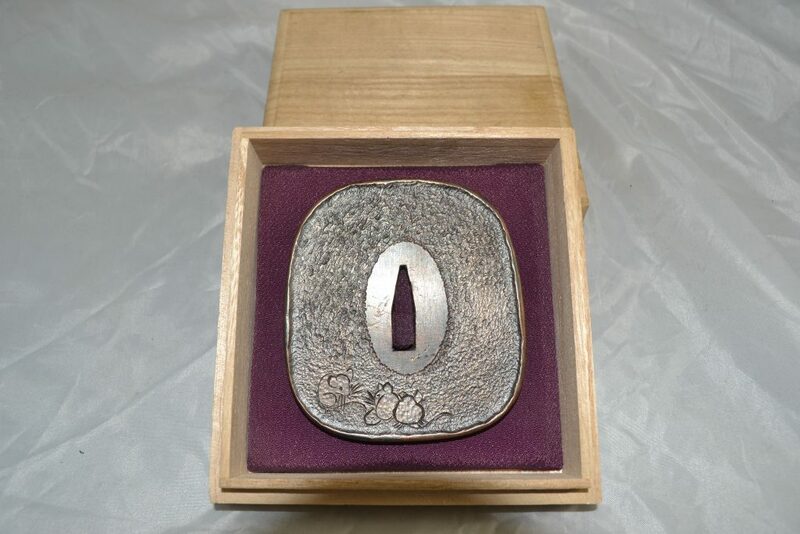 More recently, the Tsuba are made by skilled artisans that specialized in making these beautiful sword components. 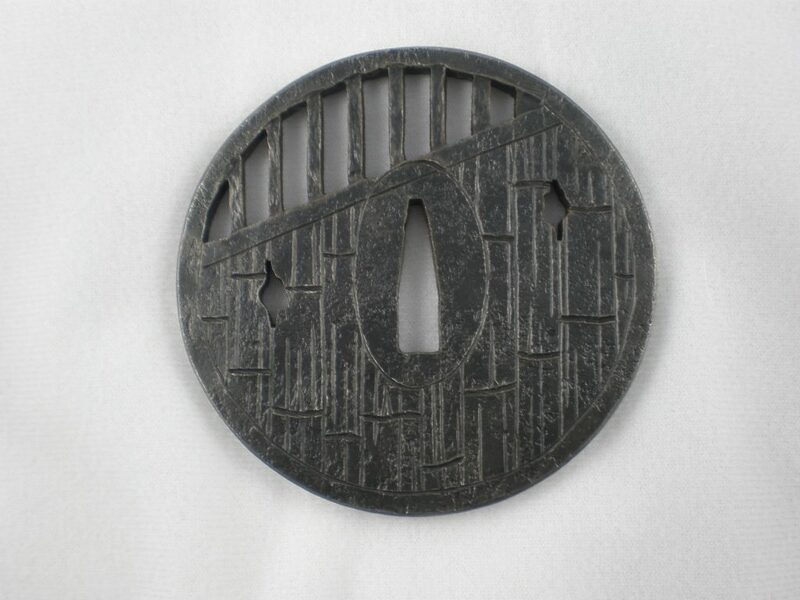 During Japan’s Edo period, the Tokagowa family took over the country, resulting in over 250 years of peace. 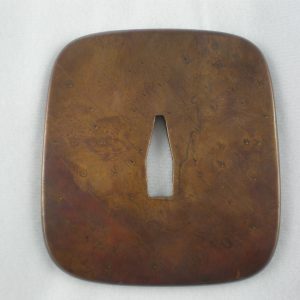 Without conflict, the Tsuba continued to guard the user’s hand, but became equally important as a highly prized work of art. 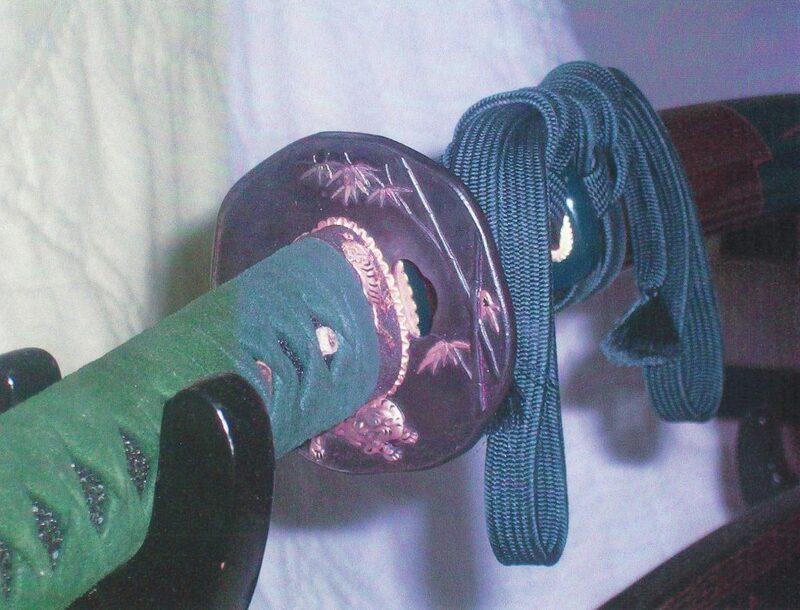 History shows that during this time, Japanese swords were made with at least 12 sets of mountings. 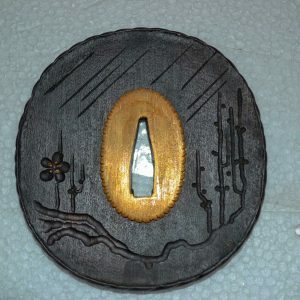 Please see the photos below to see some of our beautiful Tsuba, designed and hand crafted by Sword Maker, Wally Hostetter.